Tonya Harding’s story is one that is ripe for a movie. It is also a tale that has since left the public consciousness so many would have the opportunity to go into this movie without actually knowing why the figure-skater is so (in)famous. 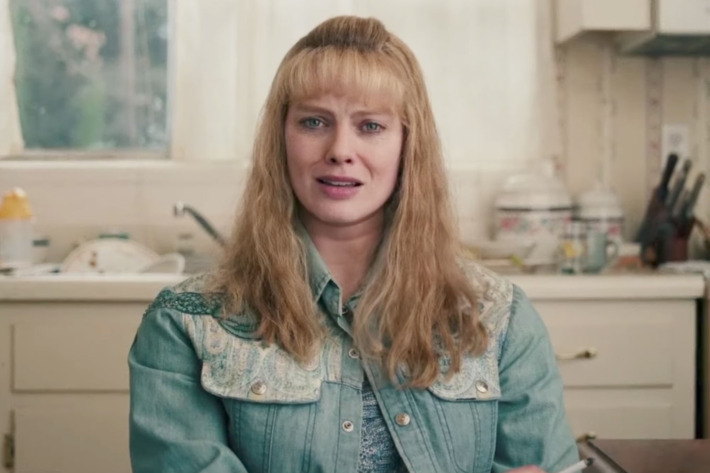 This film does telegraph the “event” from the beginning however it seems that Tonya Harding has a life which would easily have been ready-made for a movie anyway. I, Tonya goes back to her childhood and showcases the unusual upbringing the Olympic star had. This is centred mainly around her mother who is abusive, foul-mouthed and practically steals the film from the titular character. This is because of a fantastic performance from Alison Janney as Tonya’s Mother. She gets the best lines, has perfect facial expressions and is a excellent villain for the “put-upon” heroine. It sets the film off on the off-kilter direction from the very beginning. This is the other aspect which helps I, Tonya stand-out from it’s biopic contemporaries. It has a very tongue-in-cheek approach to delivering the story. It is aware of how ridiculous this tale could be so wears that firmly on it’s sleeve. This means it has characters break the fourth wall, openly contradict each other and even undermine the credibility of it’s own plot. The different perspectives of the same story is actually a very clever story-telling device. Rather than give the impression of a messy, incoherent tale, it actually adds credibility, with you believing the story much more because it seems to have a semblance of truth, even if that truth isn’t always entirely crystal clear. It also makes the film very funny. This movie has a tragic life story at it’s centre and is dealing with a tale that has a clear victim but it is also very funny. The incompetent bodyguard Shawn is written directly for laughs, while although he is riddled with a dark and abusive nature, Tonya’s husband Jeff also has moments of levity which add great humour to the movie. All of this is outdone by the awards worthy performance of Margot Robbie. I, Tonya was never going to just be about the central characters rough upbringing and abusive relationships though. The movie also requires Robbie to be able to convincingly ice skate to a Olympic standard and this is where she shows her acting credentials. Robbie holds herself, performs and convinces as Tonya Harding, not just as the woman behind the figure-skating performances but the actual Olympic standard performances themselves. In fact, while the movie is focusing solely on Tonya Harding, the movie is at it’s best. Unfortunately it is when the movie is telling the most famous part of the Tonya Harding story that it loses it’s way. The central focus of the movie switches and it loses the more comical approach it had been taking. The story being so famous and so based on more accurate accounts means that it now has to conform to a more regular and more traditional approach to biopics. It also means that the focus strays from the family and personal life of Tonya Harding and into something much wider and more media-centric. It is with the most famous part of the story that I, Tonya loses it’s way. Overall, I, Tonya is at it’s best when it is taking an unconventional and almost comical approach to what could have been (and maybe should have been) a tragic tale. The performances are fantastic, particularly Robbie and Janney but the movie does lose it’s way when it starts to focus on the events most people are watching to the film to find out more about.